Mayor Lee Brand addressed a crowd of nearly nine hundred attendees, including elected officials, business and community leaders during Wednesday’s State of the City luncheon held in Downtown Fresno. The annual event, sponsored by the Fresno Chamber of Commerce, was the second State of the City address for Mayor Brand, who officially took office in January 2017. The Marjoree Mason Center and CEO Nicole Linder were honored with the Mayor’s Community Partner Award for the work they do to help victims of domestic violence by providing a wide array of services including legal assistance, counseling and shelter. The Fresno Bee’s former Executive Editor, Jim Boren, was awarded the Key to the City in recognition of his distinguished career as a journalist. 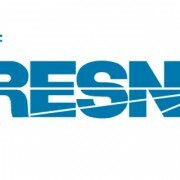 He oversaw the Central Valley’s most prominent news outlet, helping to keep residents of Fresno informed of the news and policies that shape the City. The Mayor also thanked outgoing councilmembers, Oliver Baines and Clint Olivier, for their tireless work on the council and for helping make decisions that will help improve the quality of life for the people of Fresno. Both men term-out at the end of the year. In his keynote speech, Mayor Brand discussed the many advances the City has made in the last year in the areas of public safety, public transportation, technology, economic development, and infrastructure. He highlighted the opening of Fulton Street, a new stadium lease at Chukchansi Park thanks to a new ownership group, the arrival of professional soccer in the form of Fresno FC, as well as, the State Center Community College District relocating their offices to the Guarantee Savings building, and a future 200 room 4 star-hotel as being reasons to be excited about the future of downtown Fresno. Raised the City of Fresno’s credit rating from Junk Bond status to an A-plus rating that will save Fresno’s ratepayers and taxpayers over $40 million dollars over 22 years. Launched the new Bus Rapid Transit system, known as “Q.” The new system is already improving transit opportunities along Fresno’s major corridors. The new EyeOnWater mobile app will allow customers to easily view, understand and manage their water usage and pay their utility bill online. FAASTER (Fresno’s Accelerated Application System to Track Electronic Reviews), a new online customer service portal gives citizens and developers the ability to apply and track building permits and entitlement plans online. Recharge Fresno – the largest infrastructure project in our history – completed construction on the new Southeast Surface Water Treatment Facility – on time and on budget. A new West Fresno Campus for Fresno City College is getting ready for construction and will focus on much needed vocational training that will provide the workforce vital to Fresno’s future. The opening of two Fresno Police Department report writing stations in Council Districts 1 and 4 and a new Northwest Police District Station at Marks and Shaw. The City reduced violent crime and property crime dramatically and is on pace to have the fewest number of cars stolen on over 30 years. The Transformative Climate Communities Collaborative will bring $70 million of cap-and-trade funding, along with another $85 million of matching funds that will be invested in Southwest Fresno, Chinatown, and Downtown Fresno. At the 2017 State of the City Address, Mayor Brand announced his “10 Year Path to Prosperity,” a plan to bring 10,000 new jobs to Fresno by the year 2027. Thanks to 4,000 new jobs coming to Fresno by companies like Amazon, Ulta, and the Gap, Mayor Brand is almost halfway to his goal in only 18 months. The mayor hopes to make Fresno the e-commerce capital of the West Coast.